The JWX-10 was introduced in 200411 as a dedicated jewelry machine. 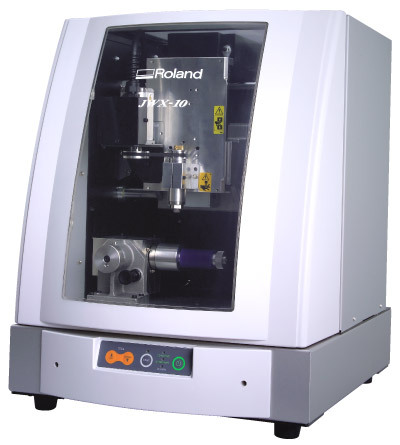 A third-party "protowizard" adapter was developed by Cutting Edge to work with the JWX-10 to allow 4-1/2 axis cutting. 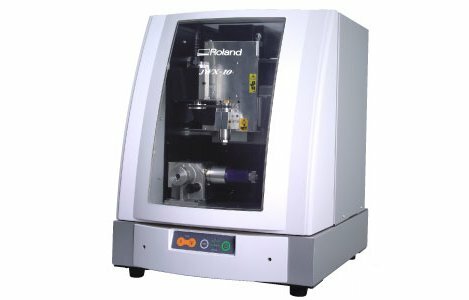 In 2006, protowizard support was added also to the MDX-40 model. Careful alignment of the protowizard to the JWX-10 was needed to ensure good results. Proprietary software was also required in order to run the protowizard, with a separate licensing system. 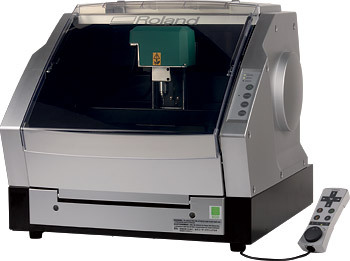 In 2008 Roland introduced the JWX-30 to address the alignment issues. The JWX-30 includes it's own fixture for 4-1/2 axis cutting which is factory-aligned. The JWX-30 includes it's own CAM package plus Rhino/Rhino Gold for designing. It is possible to get reasonable results with both the JWX-10 and the MDX-40 with the protowizard adapter with some experience. However, 3DTechnics recommends using the JWX-30 for ring-making since the JWX-30 is easier to work with, and the JWX-10 has been end-of-lifed so there is limited support available.